Fish in trees? Frogs underground? You’d never expect to see a bird at the bottom of a stream. But that’s precisely where the American Dipper hunts for food! 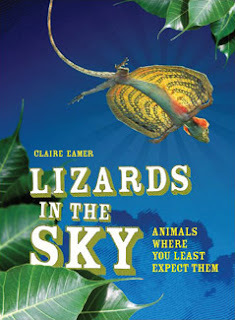 Readers will be amazed to discover how the 36 animals featured in this book have learned to live in normally hostile environments. 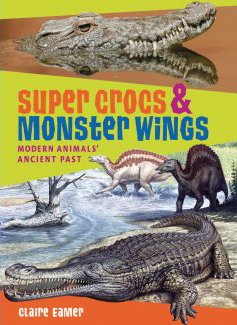 Following in the steps of Super Crocs & Monster Wings, this book looks at six different groups of animals linked with the place where all life began – the water. They include the 110-million-year-old platypus, which survived the destruction of the dinosaurs, and the mysterious colossal squid, a creature of the ocean depths that few humans have ever seen. 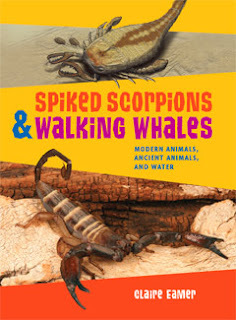 Sea scorpions as large as crocodiles once flourished in ancient seas. Today, their smaller cousins survive in the driest deserts. Geese are at home in both water and air. But their ancient relative, the so-called Demon Duck of Doom, was a giant, flightless Australian bird with legs built for walking and a beak the size of a suitcase. Winner of the 2008 Science in Society Youth Book Award, given by the Canadian Science Writers' Association. It’s hard to imagine, but about 99% of all the species that ever lived on Earth are already extinct. Some died off suddenly during global catastrophes. Others gradually disappeared as the world changed. But some animals didn’t vanish altogether, and their distant relatives still live among us today. What were these ancient animals like? In a word, surprising. Ground-dwelling sloths were so tall they could nibble the leaves in treetops. Rabbit-sized camels scampered through the underbrush. Giant dragonflies the size of hawks were masters of the skies, swooping down on flies as big as chickadees.